As a busy web designer, online marketer, and entrepreneur, I need to be productive. Just like you, my working day needs to be managed and planned to precision, otherwise deadlines get overlooked, targets fall by the wayside, and over time this impacts on the success of Happy Heart Online Marketing. So, over the past few years, I’ve tried all kinds of software and planning tools to help me do just that. If you’ve followed me for a while, you’ll know I can’t resist a bit of techy stuff, and I’m not easily fazed, so when I try a new piece of software -or in this case, an online planning tool – I’ll give it a fair chance to prove itself before I give up and look elsewhere. Earlier this year I tried Trello, and I had high hopes for it. Lots of my business pals use and recommend Trello, and I really thought we’d gel. But we didn’t. …I guess I wanted more than Trello could give. I wanted to be able to navigate my way round with ease and without distraction. I wanted to be able to write documents in more detail than it allowed, and I wanted something a bit more ‘visual’. So I decided to give Asana a try. Again, it’s free, which is always a good thing when first trying new tools out, and there’s an option to upgrade to the Premium Plan for just under $10 a month – which isn’t going to break the bank. The Asana website declares that it’s “…the easiest way for teams to track their work—and get results.” Great, just what I’m looking for! As I maneuvered my way around, it seemed to tick all my ‘want’ boxes: ie it could handle (and track) my ever-growing to-do lists, take my initial web design brainstorms and enable me to walk them through to completion fairly easily (and add deadlines – something which is critical for any service provider who juggles several clients at a time). But after a while, a few things started to jump out. What I didn’t get from Asana, however, was speed and time-tracking. Also, I often have to work on big projects with other team members, and the task dependency feature didn’t quite suit my needs. So off I went on search of another online planning tool! And then I found Milanote… and I LOVE it!! Thank goodness for Milanote. We clicked straightaway. It’s easy to use, great to fiddle around with, and best of all it lets me see my creative projects grow naturally. I can drag and drop visuals from my Mac straight onto the Milanote moodboards, add briefs from clients, and play with colours/fonts/branding ideas before whittling them down into what becomes my ‘final board’. 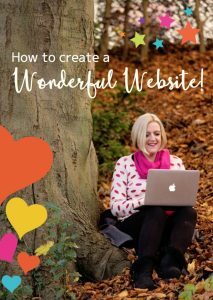 As you might have noticed, I’m pretty clued up about what I want when it comes to online planning software and tools, and the results I’m looking for to make my business run smoothly. Milanote, Asana and Trello each have pros and cons, so be conscious that while something might not fit my criteria, it may be practically perfect for yours. As business owners and creatives, we all have different expectations and requirements, so gather recommendations, sample the free trials, and find out the most fitting way to keep your team smiling, and boost your productivity.